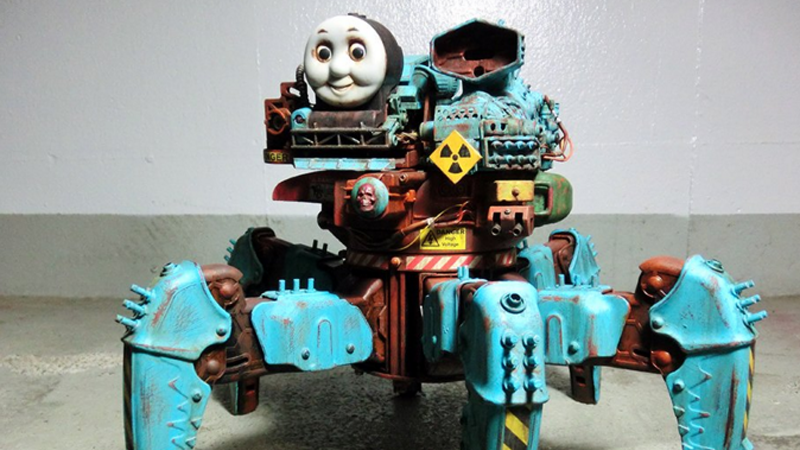 Thomas the Tank Engine, Is That You? As if Thomas the Tank Engine wasn’t already spooky with that smiley face of his. Now he has miniguns and rusty spider legs, thanks to the artists at Y_Nakajima. He’s no longer Thomas the Tank Engine... He became Thomas the Tank.